Beer has been around along time and as a beverage probably dates back on the early Neolithic era, some 11,000 years ago. The process of brewing beer was, most likely, discovered by many cultures independent of each other. The earliest chemical evidence of beer was found in the Zagros Mountains in western Iran. Brewing beer has come along way and distributing it are referenced in some of the earliest human writings. Remember your high school history and the “Code of Hammurabi”? If not, that’s okay. Anyway, this Babylonian code of laws was written almost 4,000 years ago and it contains rules regarding the production and distribution of beer. Or how about this; in Mesopotamia they had a beer goddess, Ninkasi, and one of the prayers recited to her was a recipe for beer! In fact, several years ago, Anchor Brewing Company made a limited edition and branded it Ninkasi. We sold this at Der Biergarten in Sacramento. The recipe was based on a reconstruction of the original ancient one and included twice baked bread, malt, honey and dates. Interestingly, it did not include hops so it ended up being much sweeter than modern beers. This just proves that those golden suds have a much more interesting history than you knew! It was a great tasting beer and sold out quickly. Beers are classified into many brands but two main types: Pale Lagers which are the most popular around the world, and Ales which are distinct to the region where they are brewed. These two main types are further defined into other varieties like stout, brown ale and pale ale. Beer is usually produced with about 4%-6% alcohol but can contain as little as less than one percent or, rarely, over 20%! We have had some at Der Biergarten as much as 15%. Beer was introduced to Europe around 5,000 years ago and was most certainly not the same sort of beer we know today. In those days beer brewing used fruits, honey, various types of plants, spices and even some narcotic herbs. Of course Germans did the best with it. Notice that hops are not on the list. The first mention of hops in the brewing of beer comes 1,200 years ago by an Abbot (by the 7th century beer was being brewed and sold by monasteries).And now some say there is a hop shortage. It took the Industrial Revolution to bring beer brewing into what we would recognize today. It was during this time that both hydrometers and thermometers were invented. These gave the brewers much more control over the process and the ability to predict the results. This ability to standardize results led to brewing in much larger quantities and shipment over much wider areas. Thanks god beer is easier today. Now, the brewing industry spans the globe. Where there are several huge international companies that dominate the market, there are literally thousands of small brewers also producing beer. Here is another fun fact: in 2006 more than 35 BILLION gallons of beer were sold for about $294.5 billion dollars. That is a lot of beer to drink. Thank god Der Biergarten never runs out of beer. Building of Sacramento’s Der Biergarten. 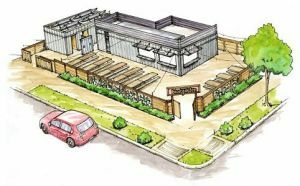 Sacramento’s first bar built out of cargo containers. This German themed beer garden plopped down in the suburbs features 32 draft beer and lite German fare. 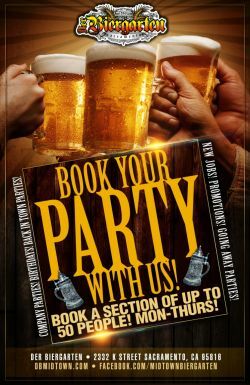 If beer is something you love, then things don’t get much better than spending time in a beer garden. With variety in beer, casual atmosphere, and lots of like-minded people, beer gardens are the go-to way to relax for any beer lover. Though beer gardens are generally awesome places to be, finding the right garden can be a bit of a task. So, to help you find the best we’ve weeded out the bad ones and crafted a list of the top 5 in the country. 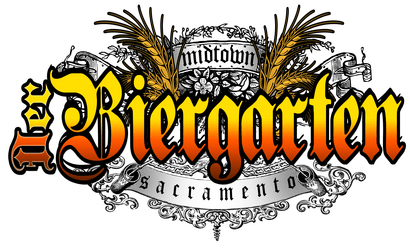 Located in sunny Sacramento California, Der Biergarten takes the cake for best overall beer garden. 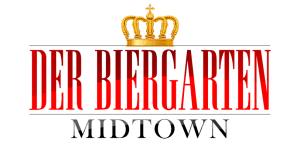 With an authentic German vibe and an unmatched selection of 32 beer varieties, Der Biergarten is a true beer lover’s paradise. Without blaring music or annoying televisions, the wide open space at this garden is perfect for socializing, making it as pleasant to the ears and eyes as it is to the taste buds. Germans are notorious for their amazing beer, and nothing makes a better pair than beer and sausages. Der Biergarten not only provides this pairing, but the sausages are brought in direct from Sacramento’s best butcher. Located in Queens, New York, it is known as one of the oldest beer gardens in New York. Previously it was a European social club, but now it’s a favorite spot for beer-loving New Yorkers. The beer list is rather extensive, and the fare is catered toward hipsters, artists and yuppies. Overall, if you find yourself in Queens this is one of the gardens to check out. Located in Austin, Texas, this is another garden that has roots surrounding Bavaria. It is the oldest continually operating business in all of Austin so patrons know it’s worth checking out. Austin is known for its western influences, and the exterior of this garden displays that theme rather pleasantly. Inside, patrons are transported to Bavaria with bench seating and enough beer to make them forget that they aren’t actually in Germany. Located in Denver, Colorado, this beer garden stays true to the fame that surrounds Denver’s craft brew scene. They’ve decided to stick hard and fast to evolution, and they’re always updating their offering list to appease the variety of people that come and visit this exciting attraction. 5) Sheffield’s: Located in Chicago, Illinois, this final garden has achieved acclaim from a variety of magazines, including Food & Wine. It’s one of the only gardens in the country that doesn’t care about cold weather. While most gardens will close when winter comes, Sheffield’s remains open, offering their assortment of beers to be enjoyed by their bonfire with some freshly cooked barbeque. When the summer comes back to town, they offer an assortment of live outdoor music for patrons to party to while they enjoy their beer. America is the melting pot of people groups and cultures, and with this list of beer gardens you’ll be able to find the best place for you. Regardless of where you decide to go, make sure to drink responsibly.